Alan Fildes Gallery: Giza Plateau. » Giza Plateau. » Lintel in the tomb of WashPtah. Alan Fildes Gallery » Giza Plateau. » Giza Plateau. » Lintel in the tomb of WashPtah. 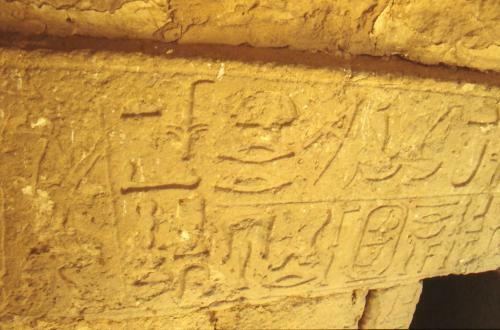 Lintel in the tomb of WashPtah. Prophet of Ptah, Sokar & Khufu, Overseer of the Prophets. 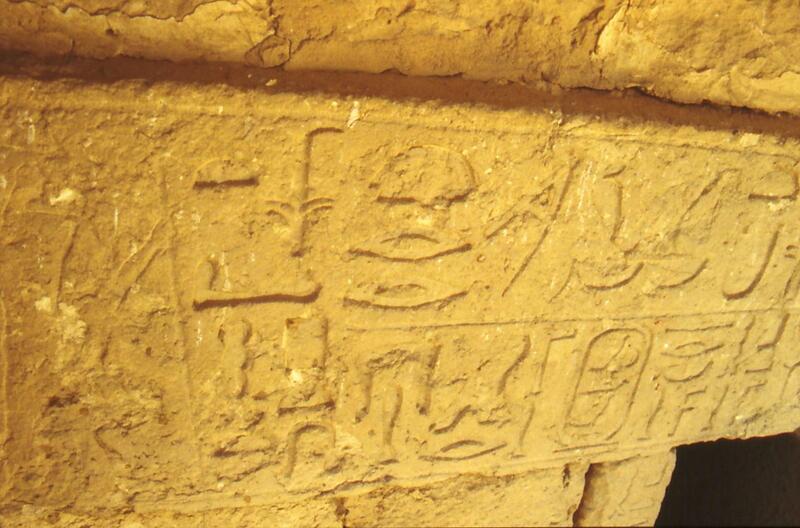 The lintel mentions Kha\'merernebti II Kings Eldest Daughter and wife of Menkaure. Dates to the end of Dynasty IV. February 1995.